How do Different Factors Change Demand? Figure 1. 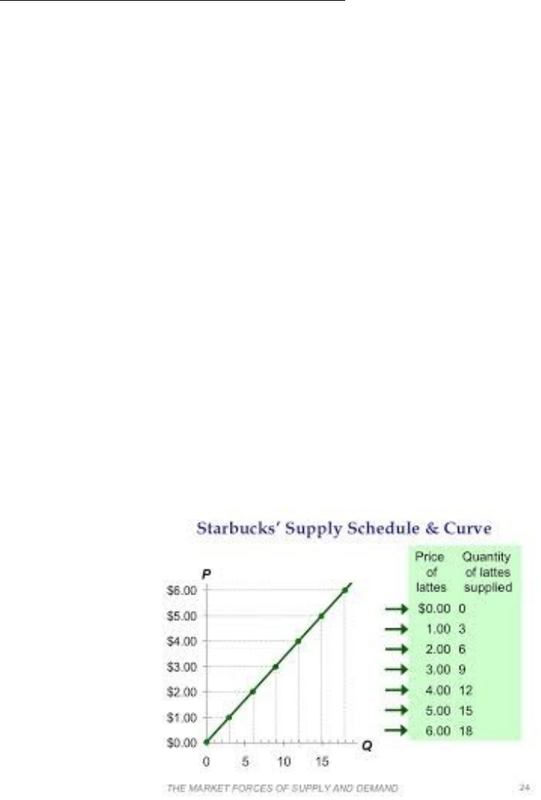 Supply schedule and curve. How do the Changes in Different Factors Affect Supply? Econ 101 - lecture #7 - demand and supply. Income falls, and the good is inferior - demand increases. What happens when: price of complement rises - demand decreases. Quantity supplied is the amount producers are willing to offer for sale during a specific period of time. The number of firms in the industry. Supply schedule, like demand schedule, is a table presenting amount of supplies offered at different prices. Supply curve is the graphical representation of supply schedule. Change in quantity supplied refers to movement along the curve. Change in supply refers to shift in the entire supply function. Increase in number of firms producing the good - supply will increase: price of good expected to increase in the future - supply will increase. Answer: no, sunny weather will not affect the production sunglasses. At the first glance, one might think that sunny weather might have a positive impact.